Wilwood’'s OEM Replacement Racing Rotors for Modifieds: Wilwood Engineering is proud to introduce our OEM-Replacement line of racing rotors to the industry. These rotors were designed utilizing the latest developments in iron formulation technology using our proprietary blend ferrous alloy to bring you the strongest, lightweight, most dependable rotor available in the market place. The rotors are new castings, not reworked parts and our tolerances are held to the high standards you have come to expect from Wilwood Engineering. 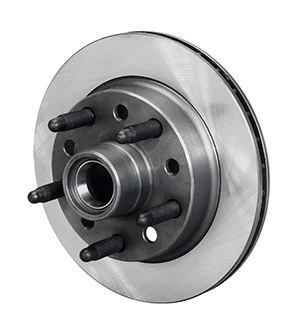 Ford Hybrid rotors come standard with races and 5/8” coarse wheel studs installed in the 5 on 5 bolt pattern. The Ford Hybrid version is 10.15” diameter by .810” thick rotor that fits the 1974-1980 Pinto spindles. Bearing & hardware kits for Hybrid rotor is available under part no. 370-9545. Bearing kits include: inner bearing, outer bearing, dust cap, spindle nut, washer, cotter pin, and seal. 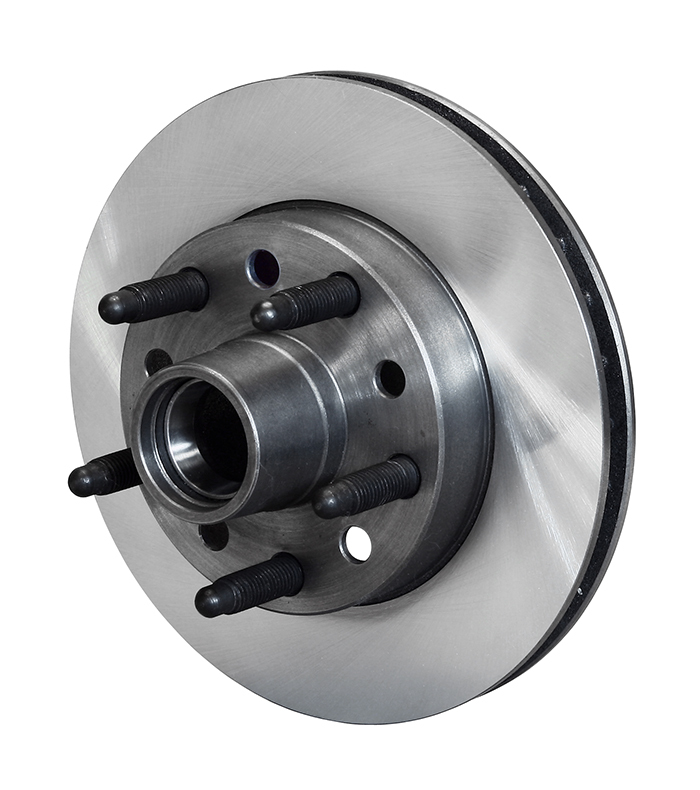 Wilwood’s OEM Replacement Racing Rotors for Modifieds: Wilwood Engineering is proud to introduce our OEM-Replacement line of racing rotors to the industry. These rotors were designed utilizing the latest developments in iron formulation technology using our proprietary blend ferrous alloy to bring you the strongest, lightweight, most dependable rotor available in the market place. The rotors are new castings, not reworked parts and our tolerances are held to the high standards you have come to expect from Wilwood Engineering. 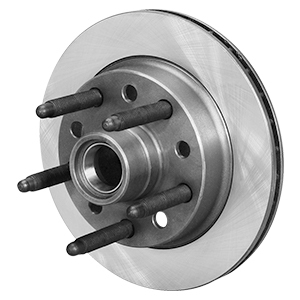 GM Metric type rotors come standard with races and 5/8” coarse wheel studs installed in the 5 on 5 bolt pattern. The GM Metric rotor is 10.50” diameter by 1.00” thick and fits the 1979-1988 GM spindles with OE 10.50" rotors. Bearing & hardware kits for GM Metric rotor is available under part no. 370-9537. Bearing kits include: inner bearing, outer bearing, dust cap, spindle nut, washer, cotter pin, and seal.